I would add to your list that it is important to check with more than one vendor where possible. 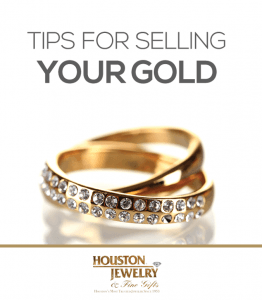 You should also do your research and know about what your jewelry is worth before going in to sell it. This way you will be able to have a good idea of what your jewelry is worth and be able to negotiate a better price. That assumes that the store the seller is at has not made the best offer. However the only way you know that, is to get offers from at least three well established, long standing, well respected dealers. Frequently we have some one bring in so items but they are skeptical of the offer, so we encourage them to go try our competitors in the general trade area. Invariably they come back thrilled at our offer which is often many times more than the offers they are getting elsewhere. There is a reason we have won the Better Business Bureau’s Award For Excellence so many times in a row. You have some nice tips for selling gold. We want to sell some of our jewelry so we can make some extra money. I didn’t know that we should find a buyer who can test our metal, but that makes sense. I’ll be sure to look for that. It must be hard being in the pawn business and not testing the gold. We assume you are affiliated with pawnamerica.com based on your profile. I like your suggestion to choose a buyer who’s able to test your metal. Lately I’ve been thinking about selling some of my old jewelry. Your tips will be really helpful as I try to find a good buyer. I am glad you found our article helpful. If you would like to come in we would be happy to test your jewelry items and make you a fair offer.